Being a great baseball player and being a famous baseball player are two different things. Fame depends on factors beyond a player’s on-field contributions, such as a player’s personality, his activities outside of baseball and where and when the player played. However to be famous baseball player you do first have to be pretty great baseball player. Below are the five most famous baseball players of all-time. Mays, the ultimate five tool player, could do it all. Run, hit, hit for power, field and throw. The Giant’s center fielder also had a winning smile, charisma to spare, both on the field and off, and a cool nickname, “The Say Hey Kid.” It didn’t hurt that Mays began his career playing in the media mecca that is New York City, and then led the charge to the West Coast when the Giants moved to San Francisco in 1958. Mays wasn’t necessarily the best player of his time — Hank Aaron was better for longer and Mickey Mantle (who was very close to taking the five spot on this list) may have had a better peak. 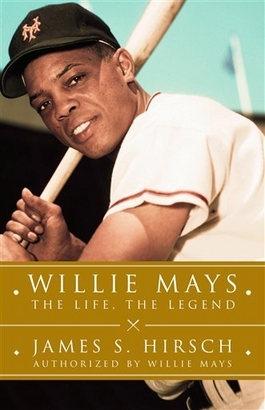 But we contend there was no more famous player in the 50s and 60s — arguably the golden age of baseball — than Willie Mays. Next up on the list is Barry Bonds, who is actually Willie Mays’ godson. (And biological son of Bobby Bonds, a pretty good and famous player in his own right.) Bonds is famous because he was the dominant player of generation, winning seven MVPs and hitting more home runs than anyone else has ever hit. But what makes him really famous is the stuff that’s not so positive. Bonds is also the poster child for the PED era and and he was convicted of lying to a grand jury for saying under oath that he never used steroids. All of his records are in doubt because of his links to PED and he may never be admitted into Baseball’s Hall of Fame. While Bond’s lighting rod status tarnishes his baseball legacy it also acts to make him more famous. 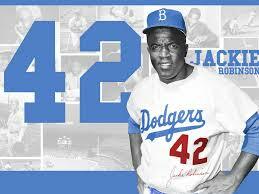 Make no mistake, Jackie Robinson was a great baseball player. In fact, the advanced metrics that have come into vogue over the last decade have elevated Robinson from a borderline Hall of Famer — if you just took into account his on-field accomplishments — to a sure-fire one. But Robinson’s legacy and fame obviously stem from more than just his what he did with his bat and his glove and his legs. As the man who broke baseball’s color barrier he was much more than just a MVP-type baseball player; he was a historical figure and famous in a way that only historical can be. As testament to his fame, his 2013 biopic “42” made $27 million its opening the weekend, the most ever for a baseball movie, on its way to a $100 million total box office. In our world of 300 channels, four major sports leagues and a World Web Web that allows us access to just about any type of entertainment at just about any time, it’s hard to even fathom how famous Babe Ruth. 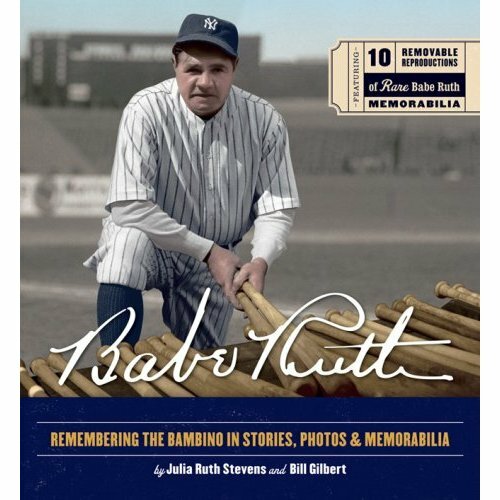 The Babe was a larger-than-life figure and whenever he did something larger than life, whether it was another prodigious home run blast or another prodigious “bellyache” it was front page news during a time you could only get your news from the front page. And it’s fitting that the Yankee legend would be the most famous baseball player who ever lived, as his larger-than-life statistics suggests he was also pretty clearly the best. Honorable mention: Mickey Mantle, Hank Aaron, Ted Williams, Ty Cobb.